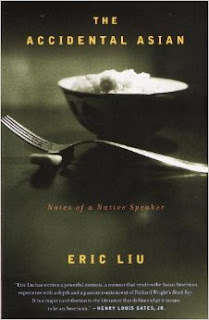 The book Accidental Asian: Notes on a native speaker is a memoir of letters and essays that were published in 1998 by Eric Liu. There are different critics provided in the book among which is the unification of the Asian American assimilation and identity. The author is concerned as he explores his identity as a second generation Chinese influenced by the American culture. Despite being raised in an environment where assimilation was the key, there were physical identifying marks such as the color of the skin and the hair that brought discomfort to the author as an adolescent. He further shares some of the memories that sound to the reader as haunting after he visits Chinatown to see his grandmother (Liu,40). He is engulfed by an attraction to his heritage but yet feels alienated. The concept of the Asian American appears to be rooted in the physical characteristics as opposed to the concept of shared ethnicity. A thoughtful concept of integration appears and in presented in a friendly and positive feeling towards intermarriage. The wife of the author is a white, and his grandparents are Jews from the southern part. He questions how the direction of his life, his decisions, and his personality are the products of his heritage and the perception of the society towards his ethnicity. After his father’s death, Liu muses over how the values reflect different based on culture. He does not understand how a socially standing man who shared his life with whites could not reveal to any of his friends his kidney disease to any of them. He challenges the existing Asian American relation that he perceives as a typical invention (Liu,53). He encourages the reader to move beyond the narrow understanding of the American race. The accidental Asian is founded on the dream that race should be absolute as a categorization means for people. The book reflects a personal view of a man who feel he does not fit into the society. Assimilation and identity may be the subject matter of the book, but the projection comes from a personal perspective. Evaluating the aspect of the author, it is paramount to note that he is not contended with the society’s view of an individual based on race. He starts by recounting how the whites identify themselves by their way of life, clothing and the like and ends by expressing his desire that race will seize as a categorization aspect in the society. Family heritage has an impact on an individual especially the decisions they make that affect their lives. Correlating the view of the author as he analyzes the changes in his life and how his Chinese heritage has influenced them, one realizes that identity is not a choice but more of a heritage. Physiology, food, and language are the essential elements that surround culture and identity. An individual is identified in their way of life by these three elements. The body of Liu sets him apart from the Caucasian Americans, and there is no way he can change that effect. He defies racial stereotypes by being the only Chinese in certain places such as the marine candidate school. He has minimal command of the Chinese language despite it being his mother tongue. Assimilation emerges as a factor that distorts cultural settings and beliefs to mold a new personality. However, a challenge arises on how to fit into this new domain as one is still held back by his cultural way of life. Liu, Eric. The Accidental Asian. New York: Random House, 1998. Print.